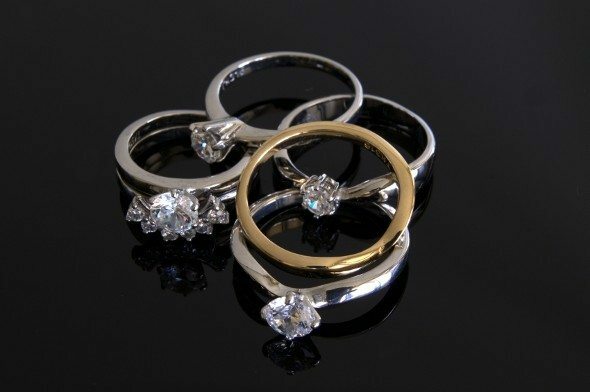 Although man’s obsession with gold goes back hundreds or even thousands of years, diamonds are a relatively new one. Like any other gem stone, diamonds are valuable because they are rare and in high demand. Without the demand though, they would be worthless. So why is it that most American males must enter the prime of their lives spending thousands of dollars on a tiny piece of carbon? Find out now: Is it better to buy or rent? At a time in most men’s lives when they should be maxing out their retirement contributions or saving for a house, many feel forced to trade all that money for a diamond ring. And it’s hard to go against societal pressures on this one since nearly every woman on the planet has come to expect a ring as part of the engagement process. So what’s a man to do? 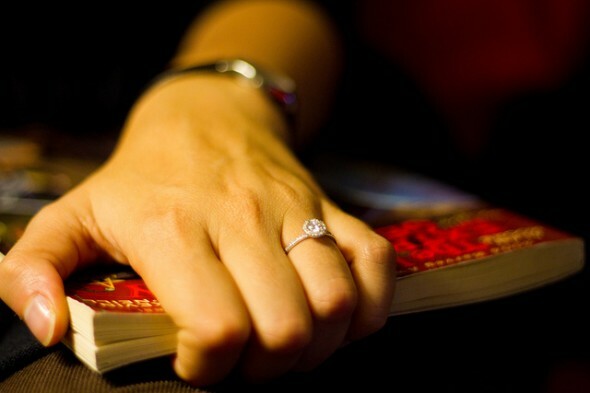 There’s a common myth floating around out there that a diamond ring is some type of investment. In the late 1800’s diamonds used to be pretty rare but with the discovery of substantial diamond sources in the second half of the 20th century, diamonds became more and more abundant. The only reason the price has remained so high is that DeBeers has steadily purchased all diamond mines across the globe in order to control prices. That monopoly ended in 2001 but we’re still left with the aftermath. Like a car, a diamond is a depreciating asset since it loses a large portion of its value the second you buy it. Think about gold and silver. The market for them is very liquid and fungible since you can store coins, sell them at any time or even trade them later on. During that time frame they might even appreciate and provide a hedge against inflation. That’s not the case with diamonds though since the resale market is nearly illiquid. Since there’s generally a 100% – 200% markup on the retail price of a diamond, most stores won’t even buy back diamonds from consumers for two reasons. The first is that since most retailers receive their diamonds from wholesalers they don’t need to pay for them until they’re sold. So there’s no point in risking capital on customer’s diamonds that may never be re-sold. The second reason is that retailers don’t want to have to make an insulting offer to diamond consumers since that would undermine the notion that a diamond is a good investment. One industry expert estimates that that a half-carat diamond ring, which might cost $2,000 at a retail jewelry store, could be sold back to a wholesaler for only $600. If you’re a young couple in love, the one thing you need to know about diamonds is that the price is so high because companies like De Beers set those high prices. There’s no point in telling yourself that diamonds are an investment, but if you can find a wife that shares your disdain for diamonds, you’re in luck. Sometimes, though, you just have to put aside the logical reasons why you shouldn’t buy a diamond ring and do it just to make your wife happy. Update: If you’re looking to make big financial decisions and weighing the soundness of your reasoning, consider using SmartAsset’s SmartAdvisor matching tool to get paired up with a professional who can help guide you while catering to your specific needs and goals. Harry Campbell Harry Campbell is an aerospace engineer by day and personal finance blogger by night. He runs his own personal finance blog at Your PF Pro and is a freelance writer. Harry's expertise includes retirement, credit cards, home buying, higher education and side hustles like ridesharing. His work has been featured on Zillow, Credit Karma and CreditCards.com. Harry currently resides in Newport Beach, CA and enjoys biking and playing beach volleyball in his spare time.